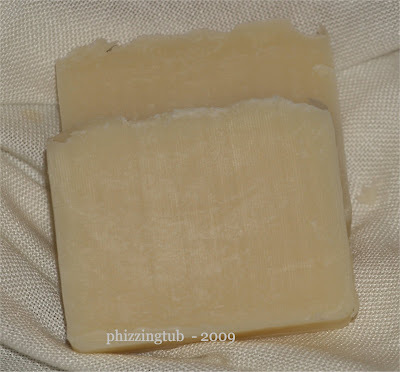 My soap supplies had arrived a few weeks ago but there was little time for me to roll up my sleeves and make some soap. The bars up top are scented White Peach and smell soooo good. There was only one tiny mishap and that we me not having any distilled water on hand. Ran to the store and I was back up and running. Now the bars below.. they have a different story. It was all going as planned but then I added in the fragrance oil. Instant soap on a stick. There was no separating it so pretty colors could be added, my hopes of creating a nice looking bar were dashed. Instead I was frantically looking for my spoon to glop the stuff into the mold and try to smooth out the top. I banged the mold quite hard to get it to settle into the mold and hope for the best. They are a bit rough looking but hopefully I will be able to clean them up a little. Oh! the fragrance is Children's Room very soft and pretty. 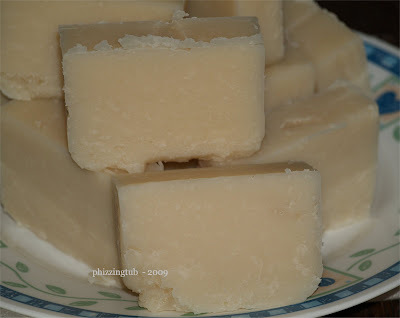 The soap that I made today I shall find out what happened tomorrow. The top was a bit green not blue due to the fragrance oil being a tad on the yellow side. Fingers crossed that it will be blue. One never knows what shall happen when soaping. Ah... such a classic movie, one of my favorites. I make and sell soap. Not sure some days how I mange that with all my blunders.